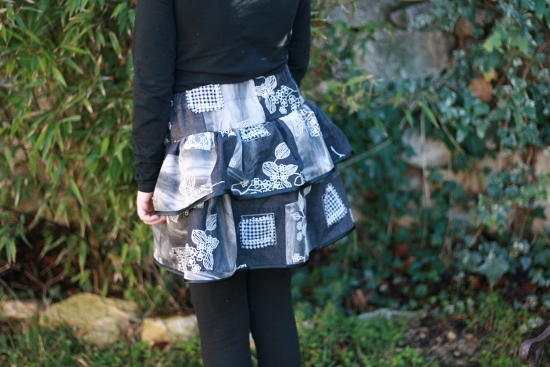 With my new ruffler foot, DN will be getting a new skirt. I love the binding idea. It builds more quality in the skirt. Agreed I find that it’s the nice finishing touches that give a garment a better quality look. That’s something I’ve come to learn sewing Colettte Patterns, I love their attention to details. Ottobre is, in a different style, similar in that regard : lots of nice details even on simple projects. 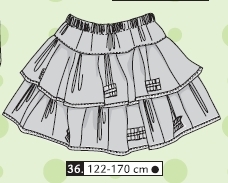 I know that my daughter will love this skirt. She has a green one that we bought but it is geeting too short for her to wear it. 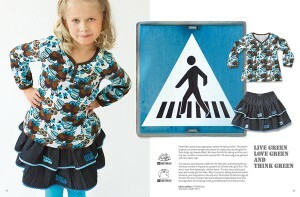 I want to make her this skirt and I have the Ottobre magazine. Thank you. 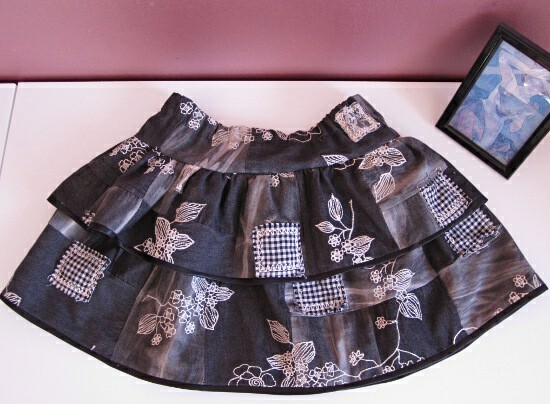 That’s such an easy project with instant gratification : pretty fast to sew for the mom and fun to wear for the daughter ! I’ll post pics of the second one tomorrow. Actually DD likes the 2nd skirt better too, she finds it “happier”.